My sister-in-law is in town. (She of the awesome vegetarian chickpea salad.) Kathy has been a vegetarian for over ten years. She’s a pro. She made this kale salad when we were on vacation. I kept stealing bites every time I walked past. I got her to make it again to share with you. Besides being quite tasty, there’s the added bonus that it’s a snap to throw together. 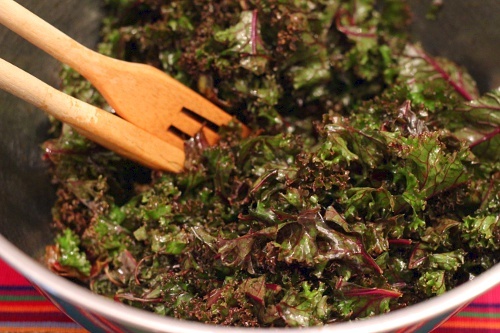 In a large bowl, combine the kale and olive oil. Massage the kale for a few minutes. Add the remaining ingredients and toss to coat. Salad can be served immediately but the texture of the kale will improve if the salad is allowed to marinate a couple of hours. While we were making the salad Kathy noted that this is definitely a taste as you go dish. She generally doesn’t measure how much of each of the ingredients end up in the salad. Change up the proportions to suit your mood. This recipe is being shared in Slightly Indulgent Tuesday, Full Plate Thursday, Summer Wellness Weekends and Seasonal Sunday. Wow, wonderful! Love the maple syrup factor. :-) Thanks so much to Kathy and your niece is adorable! It’s sad when we get older and forget to play with our food. Seriously. We can all take a lesson from her! This recipe sounds delicious — and easy to make, too. 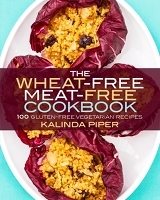 I’m always looking for new and delicious ways to use super-healthy foods like kale, and this sounds perfect! Thanks to you and Kathy for sharing. :) Tina. @Shirley: When I first heard all the ingredients in the dressing I was having a hard time imagining how they’d all come together, but it just works. And yes, she is very cute and fun to play with. @Tina: Yes, I’m also always on the lookout for tasty kale recipes. It was great to learn about this one. Your little helper is just precious! 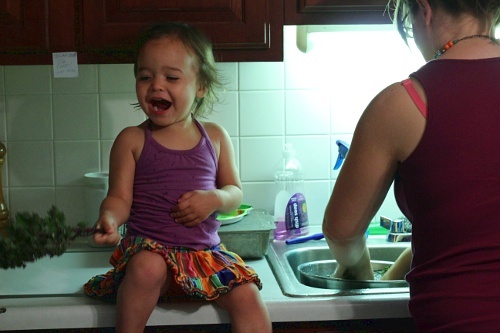 Brings back memories when mine used to sit on the cabinet like that while I cooked. I just love your Kale Salad, aside from being very healthy it is a great salad that we will really enjoy! Thank you so much for sharing with Full Plate Thursday and sure hope to see you again real soon!